Here is expert guidance on one of the most vexing clinical challenges faced by interventional cardiologists. 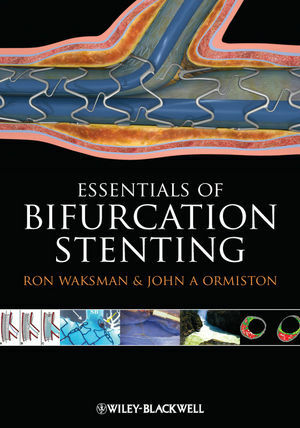 Written by global thought leaders in the area and edited by two internationally-recognized pioneers in interventional cardiology, Bifurcation Stenting covers all techniques, imaging modalities, and devices in current use, including VH-IVUS and OCT. It includes practical tips/tricks from leading experts and a section of challenging cases to further illustrate the material and help readers better understand the treatment of bifurcation lesions. Ron Waksman, MD, Professor of Medicine, Director Experimental Cardiology and Co-Director, Department of Cardiology, Washington Hospital Center, Washington DC, USA.